What is the Youth Endowment Fund? 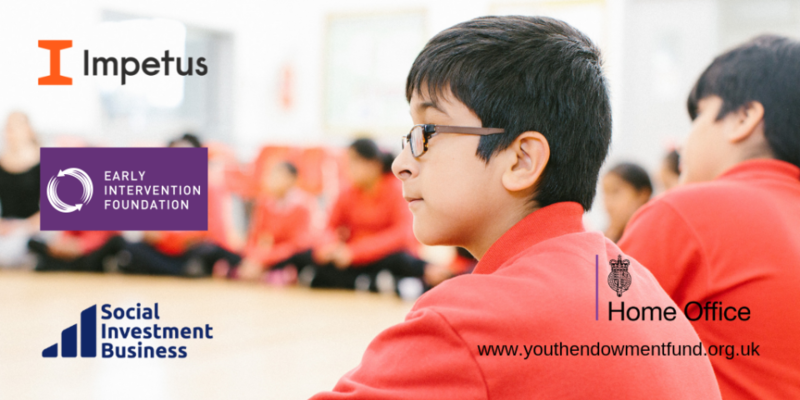 The Youth Endowment Fund is a bold attempt to put early intervention at the heart of efforts to tackle youth offending and to positively impact the lives of children and young people across England and Wales. The Youth Endowment Fund aims to prevent children and young people from getting caught up in crime and violence by making sure that those most at risk get the best possible support, as early as possible, to get on a positive path and succeed. In October 2018, the UK government announced the creation of the Youth Endowment Fund. This will provide a 10 year investment to support programmes steering young people away from becoming drawn into youth offending. Who is running the Youth Endowment Fund? The Youth Endowment Fund will be run by Impetus, in partnership with the Early Intervention Foundation and Social Investment Business. Our partnership combines Impetus’ expertise in building effective charities and programmes for disadvantaged children, Early Intervention Foundation’s knowledge of early intervention to improve outcomes, and Social Investment Business’ experience of managing and evaluating large scale grant programmes, to create a bold new model to reduce youth offending in the long term. Applications close 10:00, Tuesday 7 May. First round of interviews will be held during the week of 13 May. Final interviews will be held during the week of 20 May. Visit Peridot Partners to download a full job description and apply. Applications close midday Wednesday 1 May. Visit Social Investment Business to download a full job description and apply. Applications close 9am Monday 6 May. Interviews will be held during the week of 20 May. Press enquiries should email youthendowmentfund@impetus.org.uk or call 020 3474 1032 / 07718 976 065.